Brookfield 3rd Grader Headed to the National Spelling Bee! 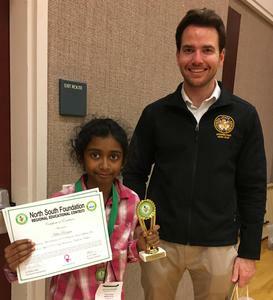 Congratulations to Nithika, who won the Regional spelling Bee conducted by NSF. She is pictured with State Senator Kevin Kelly who presented her award. We look forward to watching Nithika on television at the Scripps National Spelling Bee!